3 layered ladies jacket in higher range. Multi-material construction with a highly abrasion and tear resistant poly- fabric main shell and multi-panel mesh lining for comfort and durability. Removable and interchangeable waterproof and breathable DRYSTAR® full liner with taped seams to ensure long term water-repelling performance. Long sleeve thermal liner (100g on body, 80g on sleeves) ensures jacket versatility and comfort in cold and hot conditions and can be fully removed with easy identification red zippers and integrated stretch comfort edge. Removable CE-certified shoulder and elbow protection for superb impact protection. 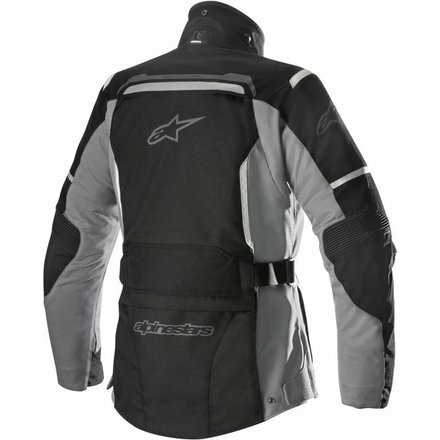 Chest and back pad compartments with PE padding (Alpinestars CE certified Nucleon chest and back inserts available as accessory upgrade). Anatomical, pre-curved sleeve design incorporates dual hook and loop grip closure and snap button volume control adjustment straps for improved comfort, precision adjustment of garment and to help keep elbow protections in place. Jet Ventilation System (JVS): strategically positioned zippered air intakes on torso with rear air exhaust vent on upper back for cooling performance on long rides. 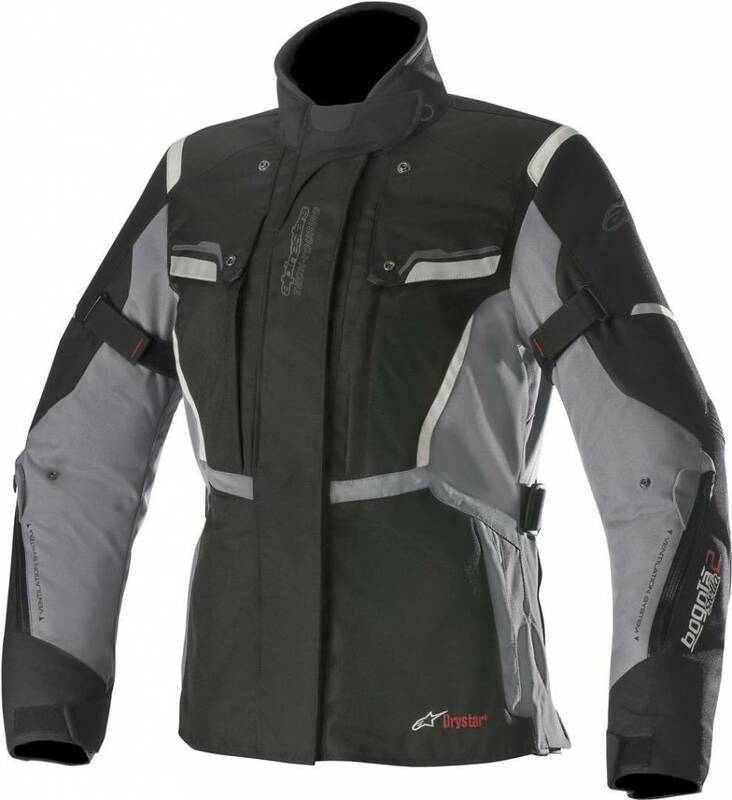 Air vents on sleeves incorporates mesh gussets and zipper closures for improved levels of ventilation control. 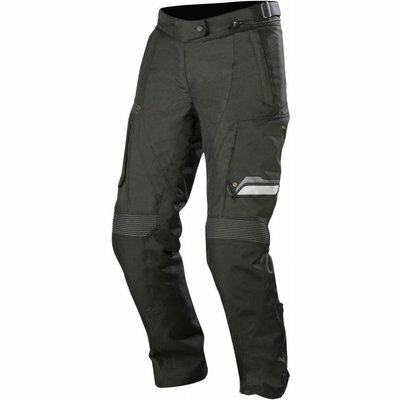 Four external front pockets for convenient storage, including two waterproof pockets and two large cargo pockets, plus external large rear utility pocket. Internal pockets are waterproof and zippered for peace-of-mind closure. Collar construction incorporates comfort lining and features Hook and loop grip closure and strap hook to allow collar to be securely kept in place while open. 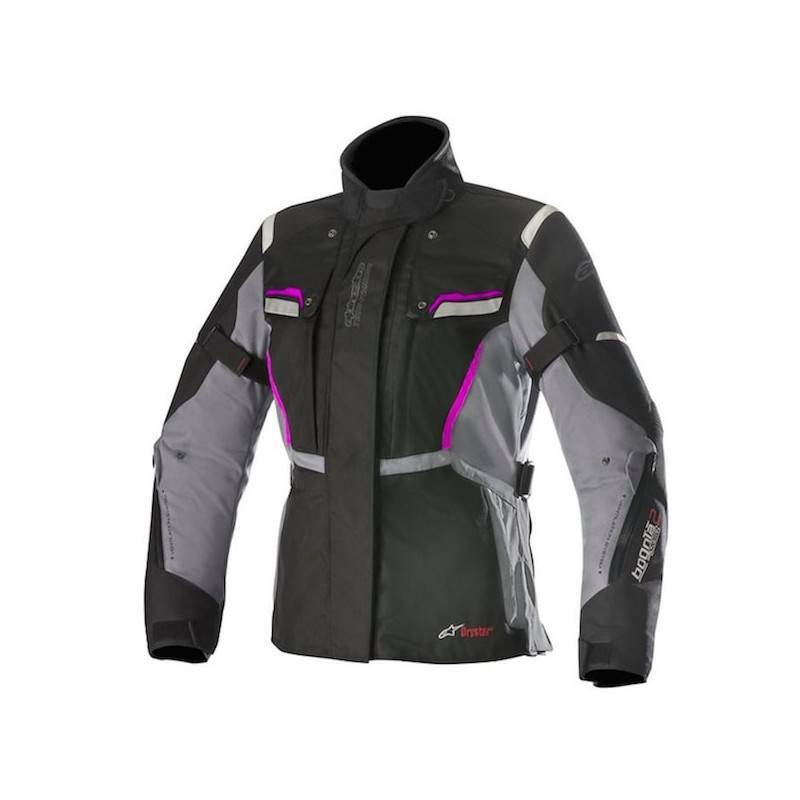 Fine-tuned fit afforded by D-ring and buckle waist adjustment for a secure, personalized fit while riding. Extended profile lower back for riding comfort for extra protection in the lumbar region. 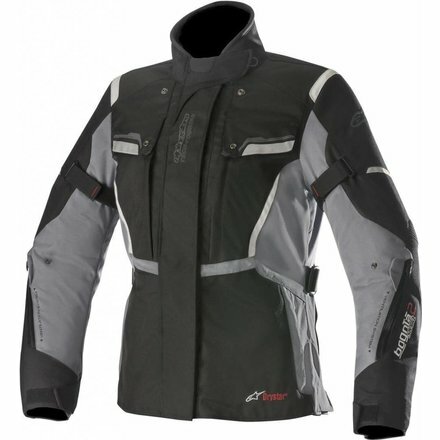 Reflective detailing on front and back improves rider visibility. 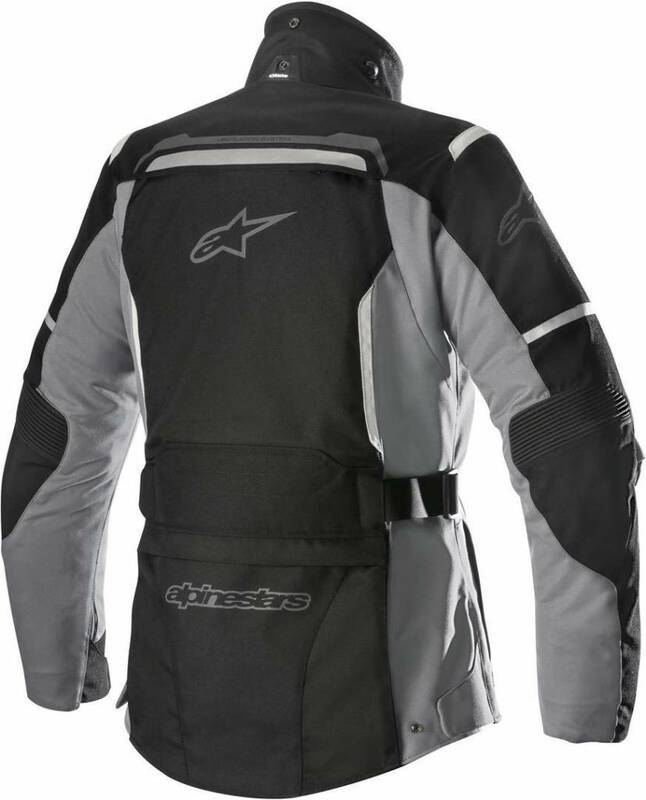 Two internal waist connection zippers (on main shell and on DRYSTAR® membrane) for attachment to Alpinestars riding pants. Premium YKK® zips used throughout.